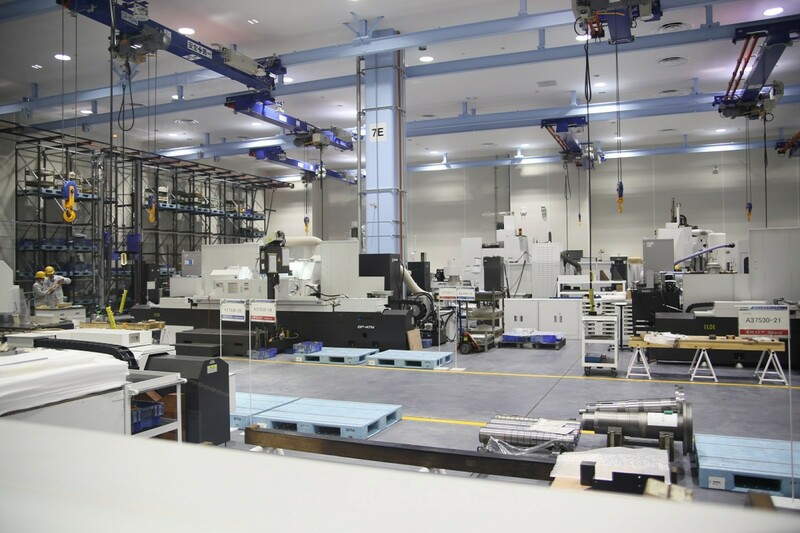 In 2017, CNC machine tool manufacturer Okuma opened its latest smart factory Dream Site 2 (DS2) at its Japanese headquarters in Oguchi. The facility serves as a parts factory for the company’s small and medium-sized lathes and grinders. 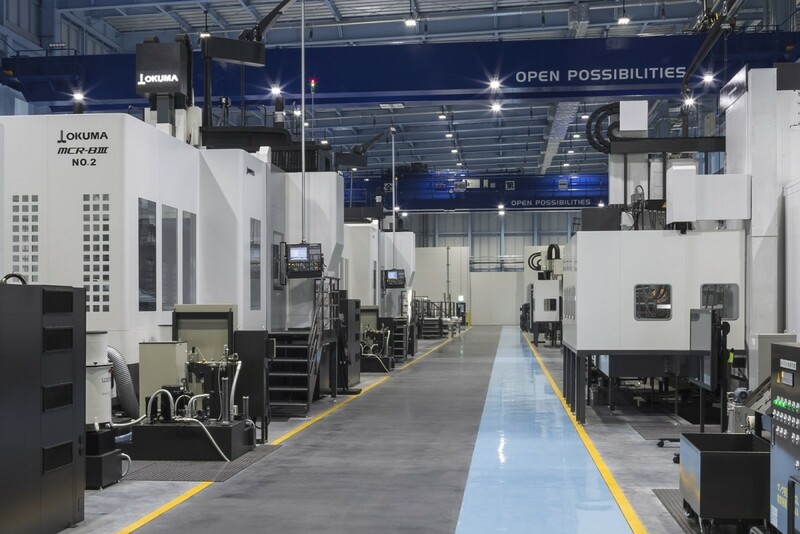 To take productivity and efficiency to the next level, the CNC manufacturer has integrated 61 machine tools from its extensive portfolio in an Internet of Things (IoT) enhanced production environment. A new production planning system, advanced methods of visualisation, real-time data processing and automation via state-of-the-art robotics enable super high-mix, low volume production with productivity on par with that of mass production. Manufacturers today are faced with an ever-growing demand for highly individualised products. However, as customisation increases, productivity tends to fall by the wayside. As both a manufacturer and a provider of manufacturing solutions, Okuma is well aware of this problem. In 2013, the company unveiled its start-to-finish automated plant Dream Site 1 (DS1) for the production of multitasking machines and medium-sized and large lathes. The highly automated facility enabled the machine tool builder to shorten lead times and increase productivity significantly. Incorporating the learnings from this state-of-the-art smart factory, the company has now invested about eight million Euros to further its ability for automated production of highly diverse product mixes in low quantities, thus providing the parts for a wide range of Okuma products. The investment paid off: Dream Site 2 has achieved even higher levels of automation than DS1. To enable a seamless material flow, all parts have Workpiece ID tags attached, so that their location and destination can be determined at all times. This allows operators and logistics personnel to quickly react and give instructions on how to further process any given part. 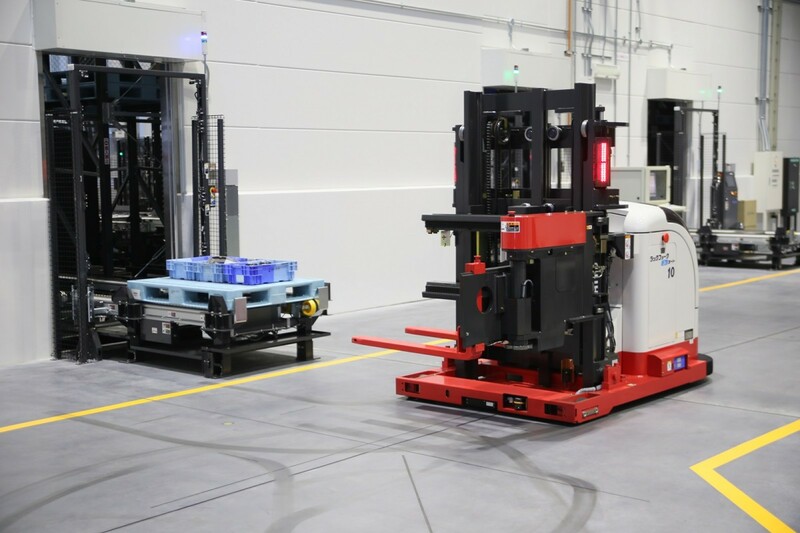 The new facility uses Automated Guided Vehicles (AGV) to eliminate manual handling of materials and to considerably cut down time between machine set-ups. Currently DS2 is able to run completely unmanned for 72 hours. In the past, using robots for high-mix, low-volume manufacturing systems has proven problematic. 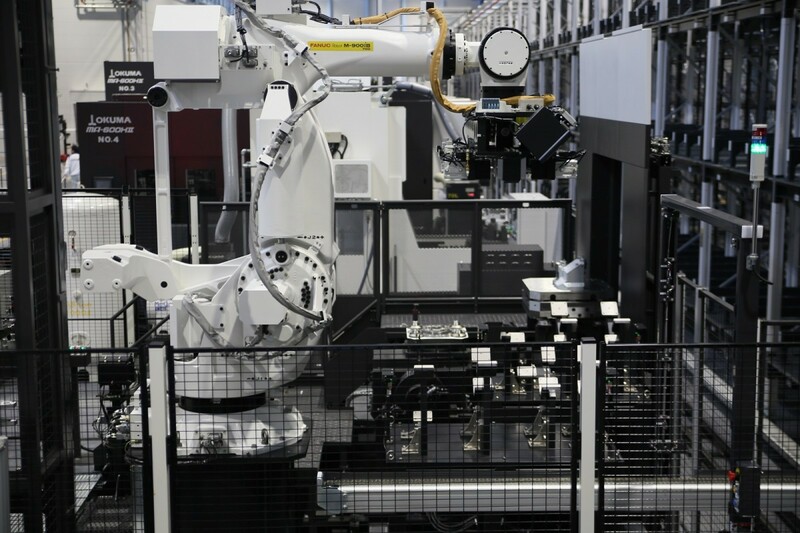 By consolidating processes, DS2 enables the use of robots in a completely unmanned parts machining system. The Production Planning System (PPS), an improved version of the one running at DS1, has considerably shortened delivery times and enables Okuma to immediately respond to changes in production requirements and to meet customer demands as needed. At DS2 Okuma employs means to front-load as many production steps as possible. An essential tool for this is Okuma’s 3D Virtual Monitor. The application provides highly accurate, 3-dimensional machining simulations generated from the exact specifications of the machine tool scheduled to cut the part. Operators know in advance, if the workpiece will be produced accurately, without errors or collisions and on schedule. Costly repairs and downtimes are thus eliminated before machining even begins. With a total floor space of 11.000 m², DS2 is divided into four main areas. The small parts machining area handles continuous machining of a large variety of mostly round workpieces with diameters no larger than 30 mm, such as flanges and manifolds. The parts are machined on Okuma’s MU-4000V 5-axis vertical machining centre and the multitasking machine MULTUS B4000. The machine tools are integrated in an unmanned robot-assisted Flexible Manufacturing Cell (FMC). The setup enables uninterrupted machining as well as automated chuck and tool changes. Workpiece change-overs are also handled by robot. AGVs eliminate the need for manually operating forklifts and significantly decrease time between machine tools, as raw materials and finished parts are automatically transported. The precision parts machining area is dedicated to high accuracy machining of main spindles, tailstock spindles, flanges and more. The temperature in this area is constantly kept at 21°C with a margin of ± 1°C, thus creating the ideal conditions for Okuma’s GP-47N grinders to achieve maximum surface quality without thermal deformations. Medium-sized parts machining pertains to components like headstocks, tailstocks and turrets, machined on four of Okuma’s horizontal machining centres MA-600HII and three MB-8000H. 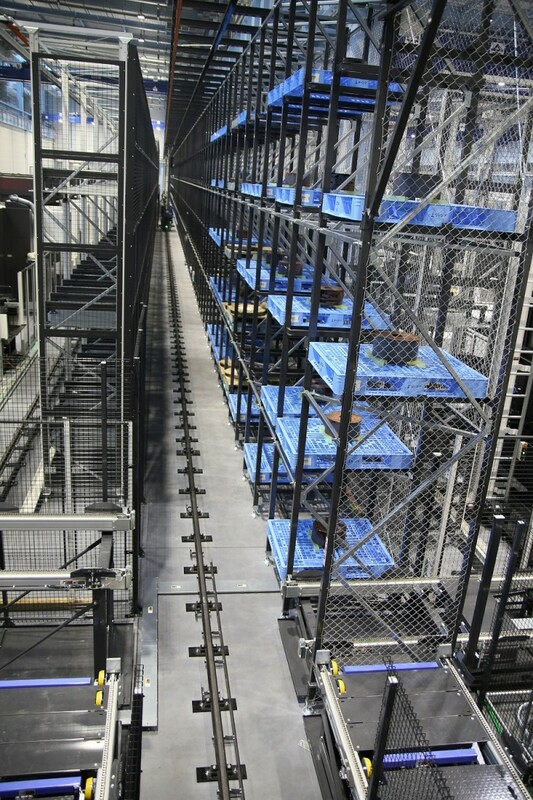 This is where the manufacturer’s automation expertise really shines: The area is governed by an advanced Flexbible Production System (FPS), combining a Flexible Manufacturing System (FMS) with robots, several AGVs for material and part handling and an automated pallet rack warehouse for storing finished parts. All processes after material input, such as fixturing, machining, deburring and washing, are completely automated to facilitate unmanned 24/7 operation. Finally, the large parts machining area for machine beds, saddles and other components of this magnitude employs three of Okuma’s large double column machining centres MCR-BIII as well as a large surface grinder. Three of these massive machine tools are integrated in an FMS. The time for loading and unloading is considerably shortened due to the use of automated clamping solutions and unmanned retightening of fixtures prior to finishing. The entire set-up of DS2 is visualised on central screens and on handheld tablet computers running Okuma’s Factory Monitor. The application enables visualisation of the entire plant, showing the status of every production cell and machine tool in use. Machining data can be viewed and analysed in real time, so that problems or a lack of productivity can be identified and addressed quickly. The software accumulates and stores data, such as information on machine runs, downtimes and alarms. The result is a factory that is learning and evolving on a daily basis, so that each run is an improvement on the previous one. The entire plant uses geothermal energy for high-efficiency heating and cooling. Like DS1, DS2 employs solar panels with insulating properties on the exterior walls as well as LED lighting, air compressor invertor controls and electric heat pumps. These efforts have contributed to reducing energy costs by thirty percent. Okuma is very satisfied with the performance of DS2. Since the facility’s opening in May, the manufacturer was able to increase the productivity of its parts production by 30 percent and shorten lead times by half. The single-source provider will continue to invest in new ways to improve IoT-based production facilities. Currently, the focus is on enhancing DS2. The plan is to add an assembly area, in order to turn DS2 into a self-contained start-to-finish machine tool factory like DS1. Meanwhile, Okuma executives are already dreaming another dream: While there is no fixed time table yet, a third Dream Site is under consideration, surely set to once again push the envelope for smart manufacturing. Okuma is well aware that their customers are facing the same bottlenecks in terms of high-mix, low volume production. This is why the manufacturer is using the know-how obtained from constructing DS1 and DS2 to provide customers with equally state-of-the-art manufacturing abilities. Okuma’s smart factory solution “Connect Plan” is designed to enhance the entire planning and manufacturing process, providing the same means of visualisation and data processing used at Okuma’s own smart factories. Connect Plan made its European debut at EMO Hannover in 2017and met with a very positive response. Since then, it has been used to ‘open possibilities’ in facilities around the world.